Israel, modern. 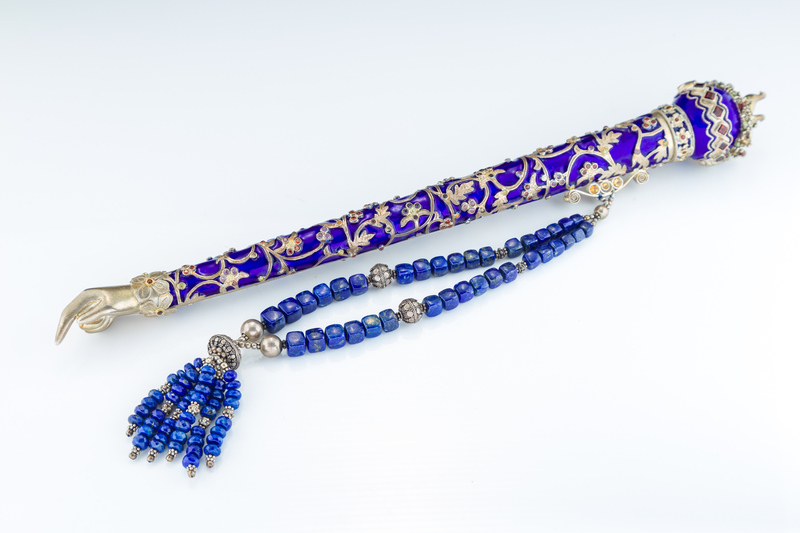 Decorated with blue enamel in leaf and flower motif. Set with citrine, amethyst, garnets and peridots. 12.9” long. With suspension chain made from lapis.